Stand up paddleboarding (SUP) is currently the fastest growing sport in the world today - and once you've tried it for yourself you'll see why. SUP doesn't require large amounts intensive dry land instruction before you get a chance to get on the water. There's just a few basics to grasp and then you're out having fun! We work from May to October and you can take our paddleboard lessons in Bath, Saltford, Devizes, Stroud or Clevedon. Just imagine paddling down the River Avon amid the beautiful surroundings of Bath. 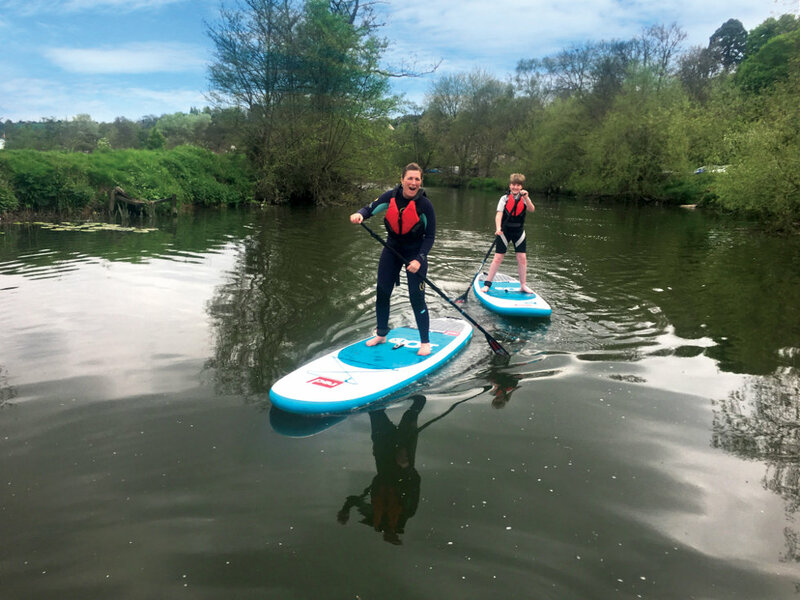 We have entertained groups from Oxfordshire, Wiltshire, Sussex and our neighbouring counties on equipment supplied by leading manufacturers including Starboard, Red Paddle and McConks, so that you start your Paddleboard (SUP) Adventure in the best possible way. Whether you'd like to start learning this fun sport on your own - or in a group of friends, family or colleagues - we can cater for you. Our instructors will provide sessions from 1.5 to 3 hours in length, either teaching you one-to-one or teaching groups of up to ten at a time. We will take you through the basics of stand up paddle boarding until you're Supping with confidence on our Taster Session. Then, if you choose, you can book further progression lessons on our Safe Paddler Award Course or join SUP Bath Paddleboarders. This water sport is great fun and no prior experience is necessary. Perfect for Birthday Parties*, Stag Parties, Hen Parties, Football Clubs* and other Sporting Cubs*, Schools*, Corporate Team Building or as part of your holiday. So if you're looking for an outdoor pursuit, why not come along and give it a go!